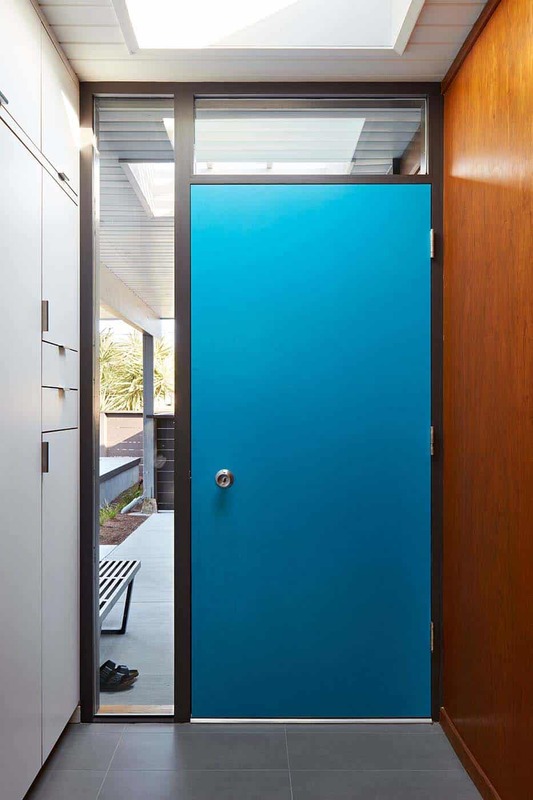 This project involves a magnificent addition and remodel of a midcentury-modern Eichler home by Klopf Architecture, located in the Highlands, a neighborhood in San Mateo, California. 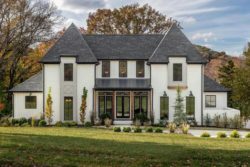 Completed in 2015, this fantastic home encompasses 2,285 square feet of living space with four bedrooms and two bathrooms. 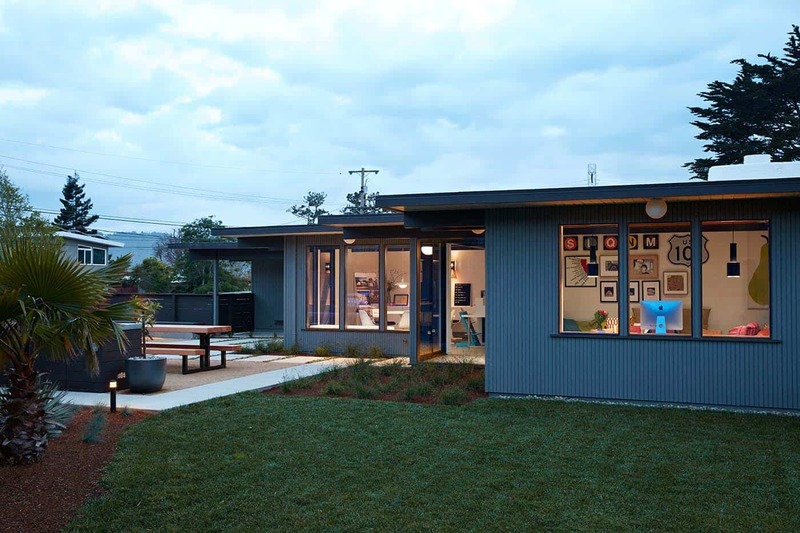 The homeowners are a young couple with two small children, who have a fond appreciation of classic Eichler homes. Their minimalist style was to be carried through in this home, decorated with their tasteful modernist art, accessories and furnishings. 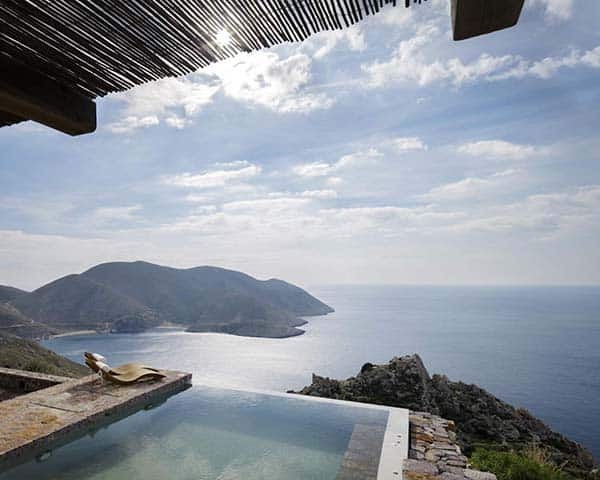 Since the home is nestled on an irregular, wedge-shaped property, there were set back limitations. 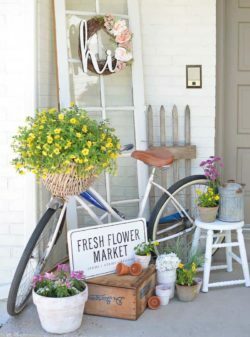 The design team was not able to expand the house to the back of the property, instead they opted for the side yard. 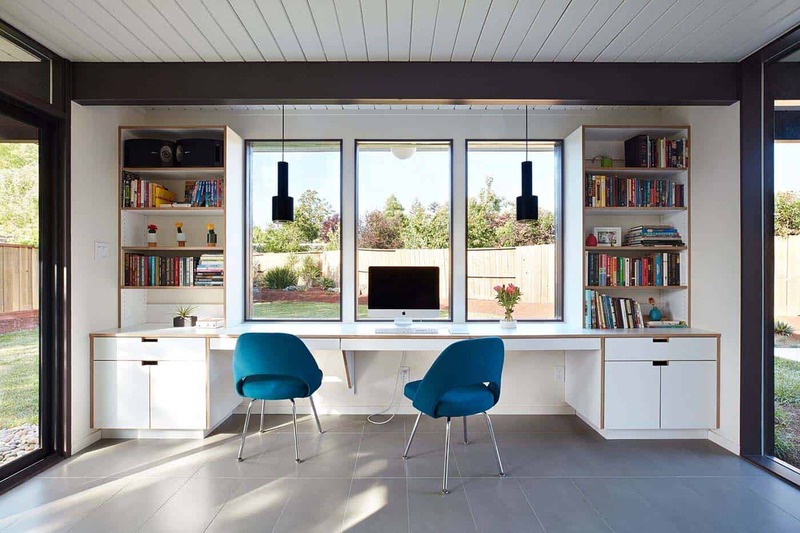 The goals for this project were to maintain the Eichler style, while integrating high-end, on-trend materials, all the while updating what was already existing. 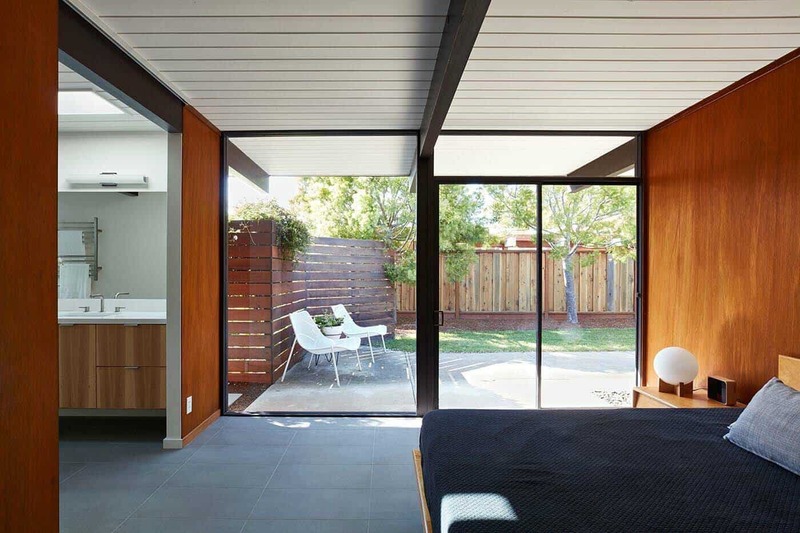 An addition to this home included an office and guest room. 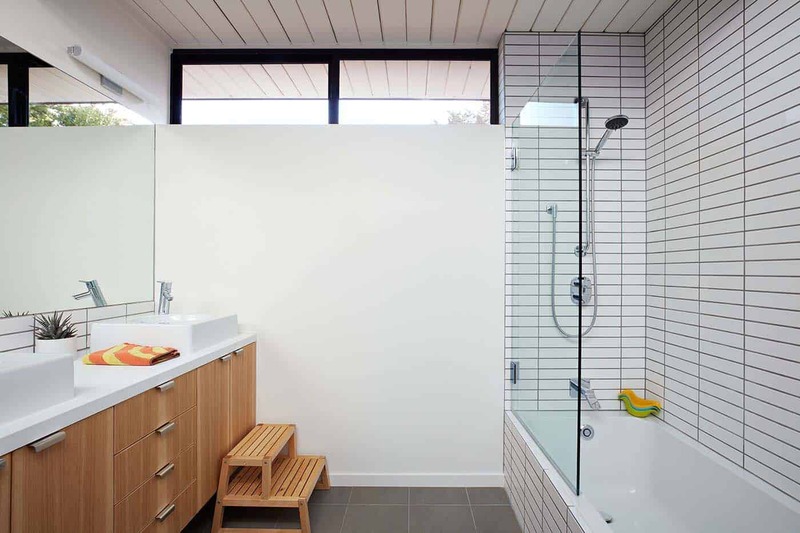 It was designed to be full of transparency and light to help visually reduce the scale of the addition. The bathrooms, entryway and storage area were also expanded to allow for more space. 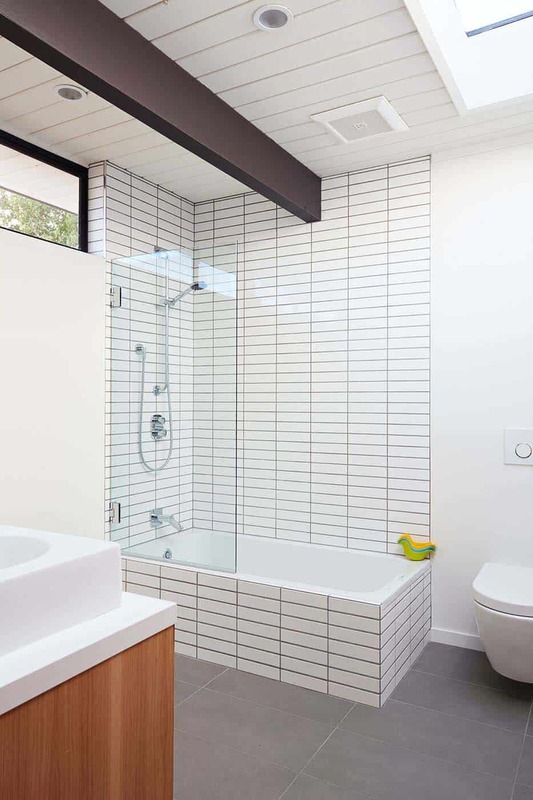 The design team also made practical improvements, such as replacing the existing radiant heating tubes that were leaking with a new radiant floor heating system. 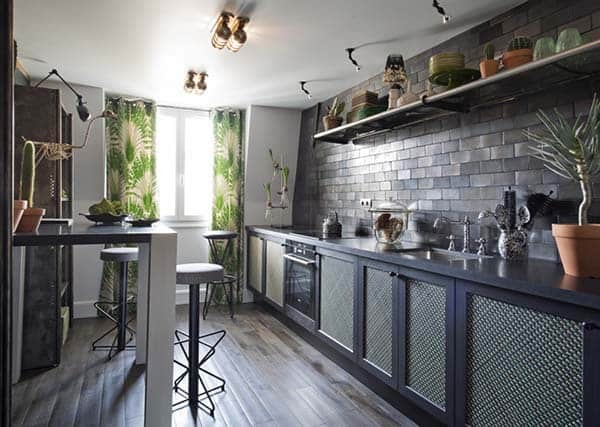 This was done in both the existing and new concrete slabs, in addition to installing new flooring throughout the home. 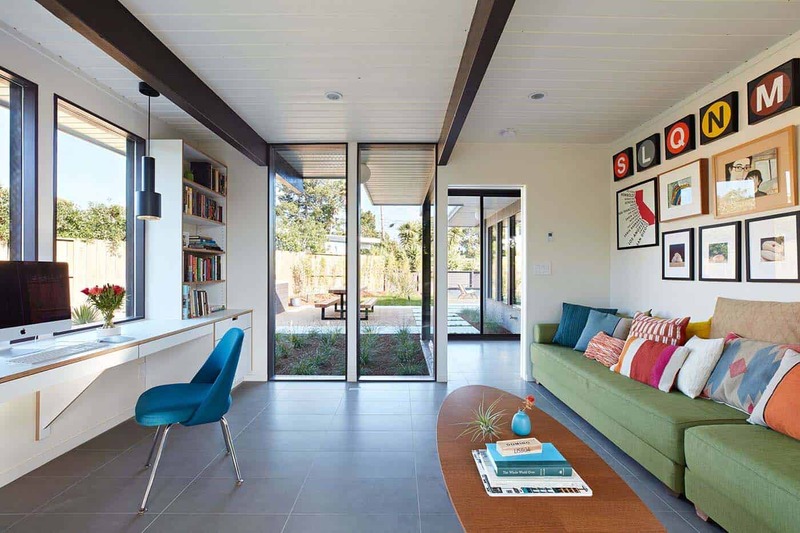 What We Love: This spectacular remodel of a classic Eichler home offers bright and airy living spaces and a transparent addition. 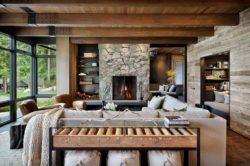 Expansive windows helps to bring in an abundance of natural light, while also blurring the boundaries between indoors and out. 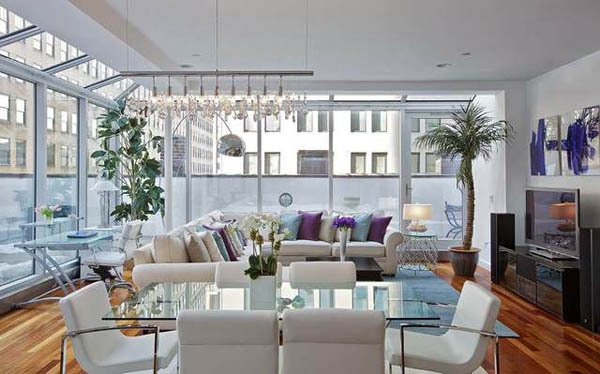 The design team did a fantastic job of using available space on the property to create additional living space to meet the lifestyle needs of their client. 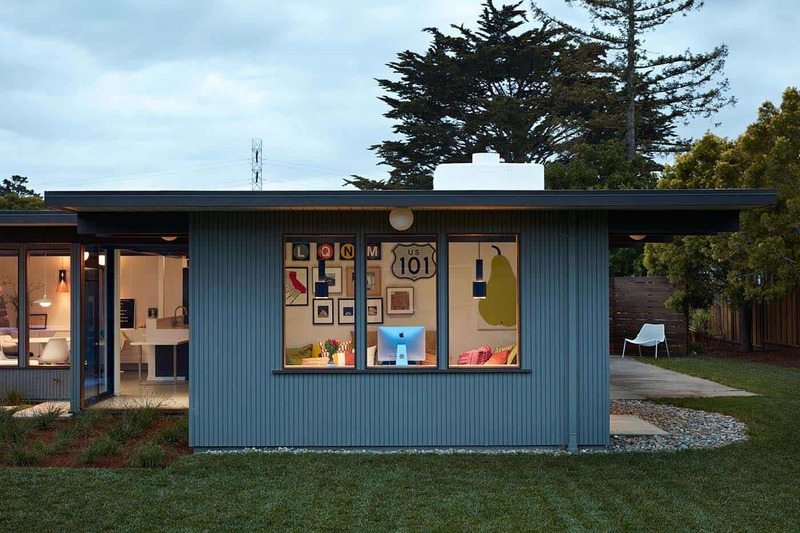 Readers, please share what you think of the overall design of this Eichler home. 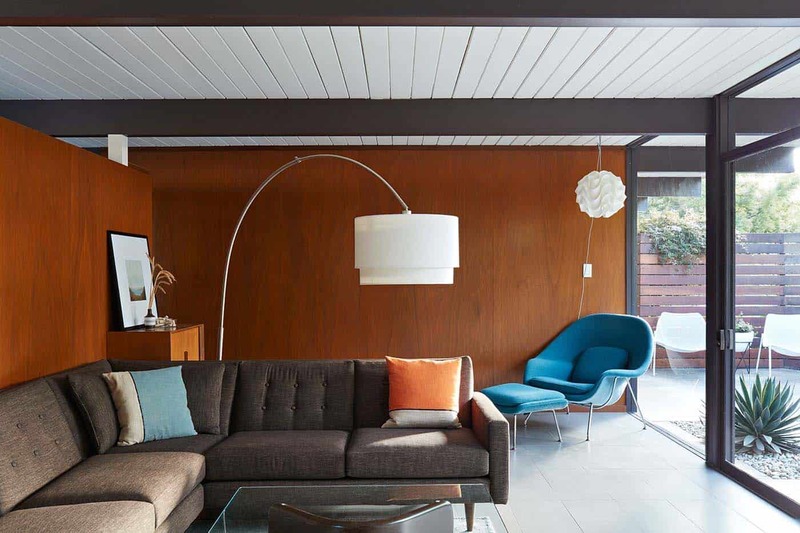 Are you a fan of mid-century design? Let us know in the comments below! 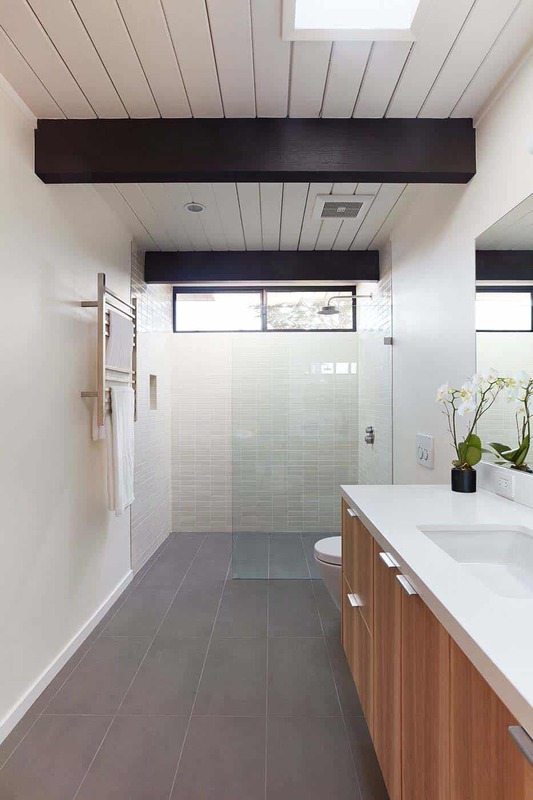 On the interior, the design team preserved most of the wood paneling and interior details. Some of the rooms were expanded, while replacing material elements that were damaged. 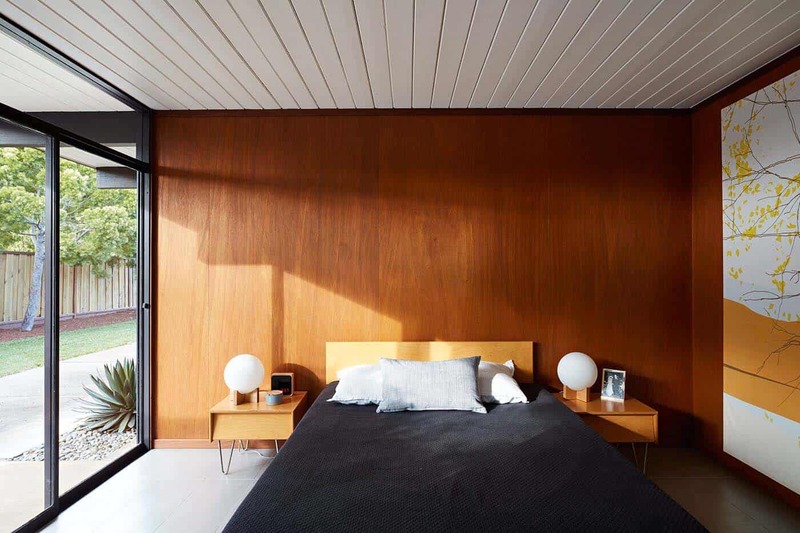 New and original paneling were re-stained to not only bring out the richness of the wood, but to give a fresh aesthetic. 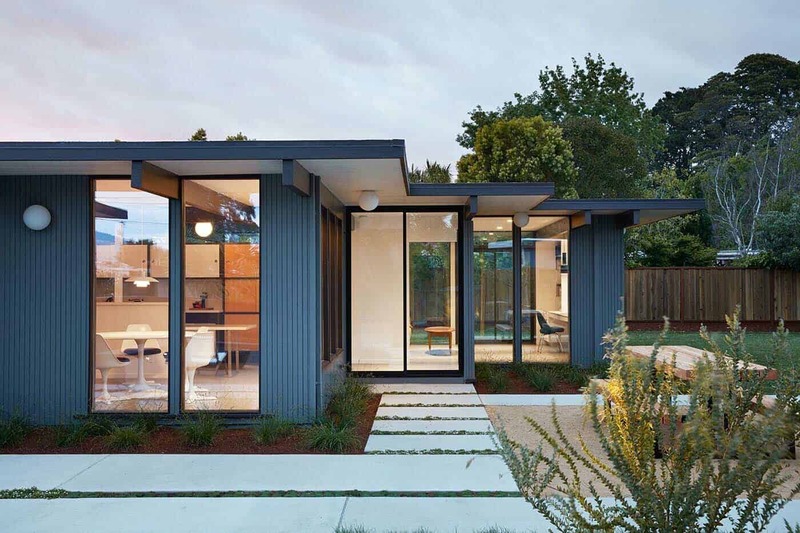 The addition mimics the style of the existing home, which includes Eichler profile siding, dark bronze door frames, and the post-and-beam rhythm of the house. Photos: ©2017 Mariko Reed / / This project was submitted to us courtesy of Klopf Architects. If you have a project you would like to share with One Kindesign, please contact us here: Submit Your Work.